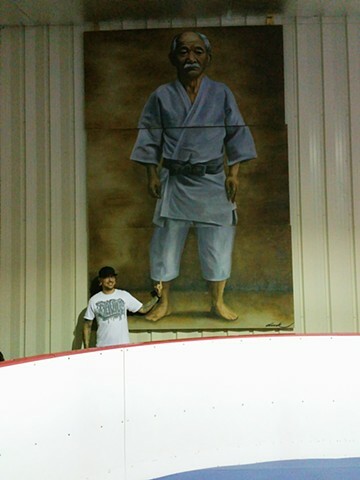 A Commissioned Mural for Scranton MMA. Painted on 3 panels of Pine Sheets. The painting appears slightly off key due to the way it was hung. It has since been aligned and looks correct.